For me, this should not have been a sit-down-and-read-in-one-go type of deal. Quinoa will blast me for saying that. I will respond by wearing toe socks and Walmart pajama pants with sincerity. 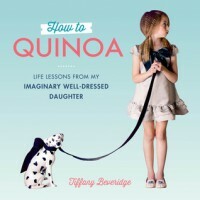 The pictures are as delightful here as they are on Pinterest (http://www.pinterest.com/tiffanywbwg/my-imaginary-well-dressed-toddler-daughter/ and several others), the most-best part, as always, being the names of Quinoa's friends. But the text? It was way too much to handle all at once. Instead of smiling wryly over the not-so-subtle jabs at pop-culture, haute couture, and the lemming-like devotion so many display for trends, I began to grow irritated at the harsh reminder of how narcissistic, self-indulgent, and completely ridiculous portions of our first-world culture can be. Granted, my mind knows this has always been the case. I mean, look at what happened to Marie Antoinette. But, even as a parody, this was too overwhelming, even depressing, to gulp down in a single sitting. 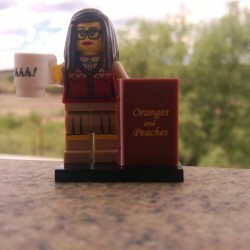 I would have enjoyed this far more had I paced myself, taken tiny sips of Chevron's idolatry of her BFF, mused longer on Ramen's quirks, or slowly pondered Twerk's life philosophy (No shirt, no shoes, no drama, no high-fructose corn syrup, and no gluten). 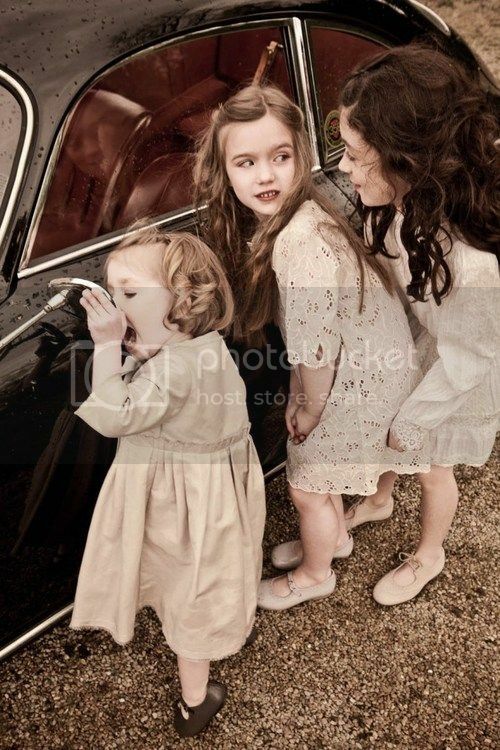 Also, if you step back and strip the actual pictures of their sardonic-yet-charming captions, you begin to realize how terrifying the marketing world is, creepily sexualizing children to sell products or heavily pushing the colorful sentiment of childhood innocence to create a desire for, again, products. Whoever dreamed this marketing scheme should probably be shot but is actually probably already long dead so that would be a pointless endeavor. Yeah. I'm going to stick to the Pinterest page. Smaller doses, less agitation, more faith in humanity.